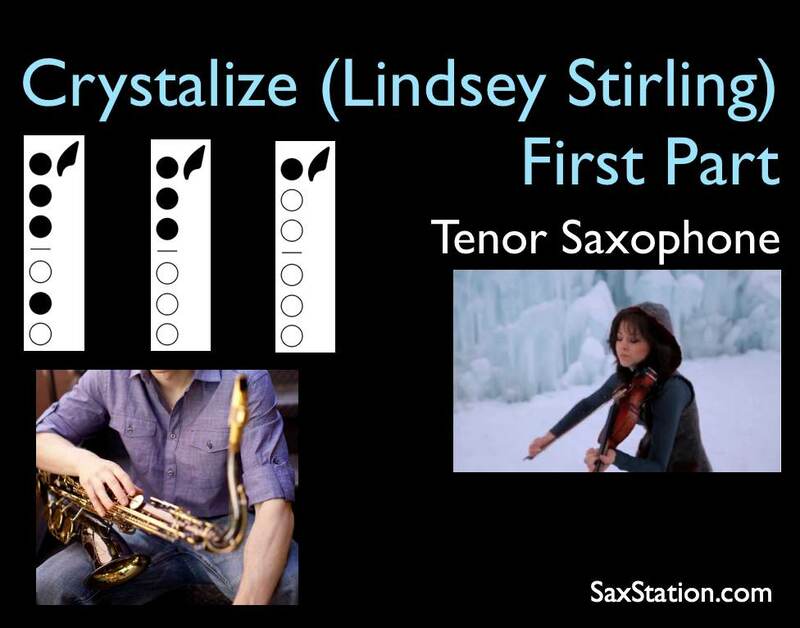 How to play the first part of Crystalize by Lindsey Stirling. There are three notes in the intro and then the melody comes in on an A. That’s a concert G, so it would be an E on alto. 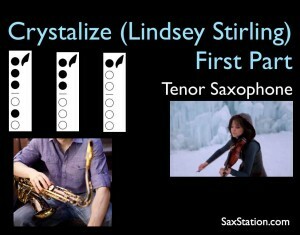 You can get the full sheet music for Crystalize from her site. 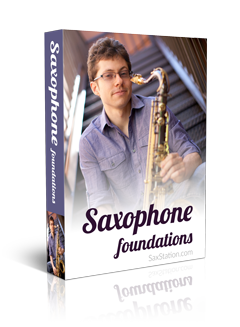 Subscribe for more sax lessons! Fist time I played it. Sounded good, thanks! Could you post something with a link to some sheet music for this? i play the bari sax and would love to get my hands on some sheet music. Please and Thank You. Where can I learn the rest of the song? Hey can you do ithe same on alto? Would really love to play it on alto. Just updated this page, wrote the notes below the video.